On Saturday morning, Metropolitan Nicholas and his staff welcomed the guests of the 11th Annual Detroit Greek Independence Day Parade at the Metropolis of Detroit Center. The group from Greece which included leaders of the community and the famous dancers Horeftikos Omilos from Aigiou, Peloponnesos, Greece, was led by Metropolitan Ambrosios of Kalavryta and Aigialeia. In the evening, the Detroit Greek Independence Day Dinner Dance and the Hellenic Heritage Awards was held at the Royalty House in Warren, MI, featuring the performance of the dancers from Aigiou. 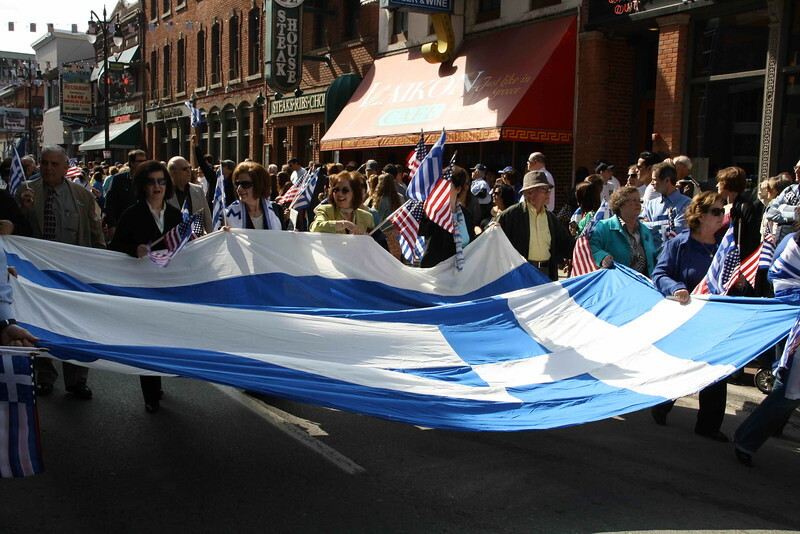 Sunday, following the Hierarchical Divine Liturgy presided by Metropolitan Ambrosios, the traditional Greek Parade started downtown Detroit with members of the Greek community from Metro Detroit marching down on Monroe Street.